Meg & Alley — Iz&Co. Meg & Alley got married on Halloween 2014 at New Haven's courthouse in Connecticut. 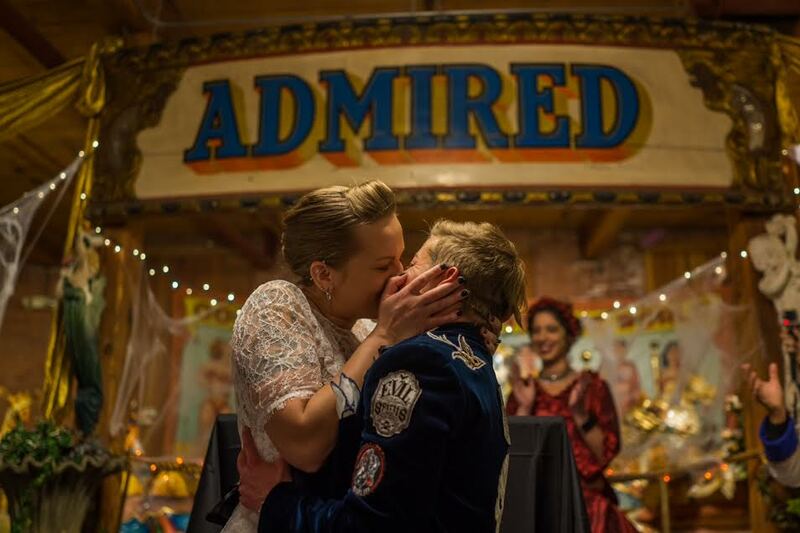 They celebrated in summer during NYC Pride, and again October 31, 2015, with their amazing and spirited family and friends at a costume wedding at the New England Carousel Museum...unbelievably perfect and suited to them! For us it was a real pleasure to be able to make their skull rings and be a part of such an important part of their lives!